In the last couple of months, my turkey nails from day 5 have blown up on Pinterest. 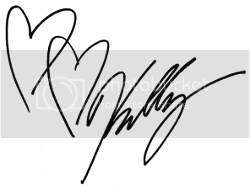 As of me writing this, it has 2938 repins and 336 likes. I am flabbergasted at those numbers. Thanks to all of Pinterest for your love! 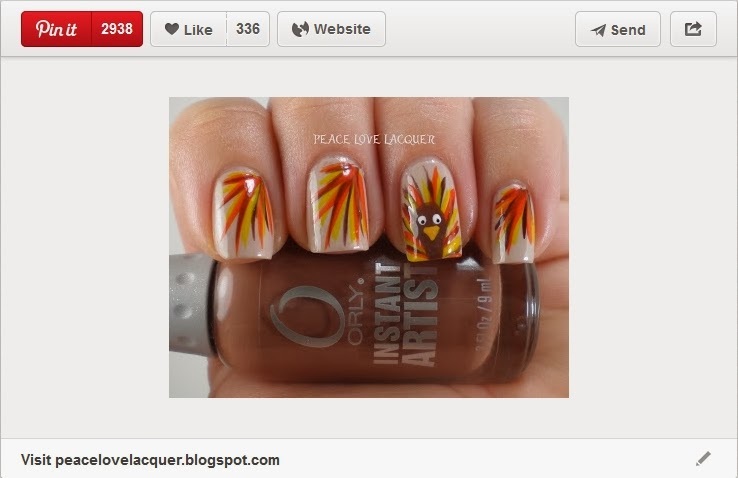 Well, it got me thinking about what I can do for my Turkey Day nails this year. I was bouncing ideas off of my amazing friend Sunny, of 365 Days of Color (shameless plug - you should check out her Elf Christmas collection! 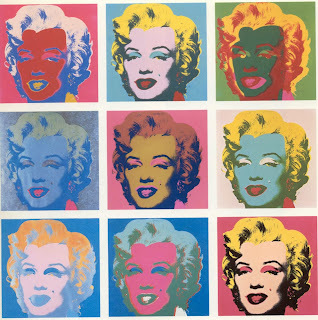 ), and we thought about Andy Warhol's depiction of Marylin Monroe. My thought was, my Turkey nails are so Pinterest famous, why not honor them as Warhol honored Marylin? A bit of a stretch, I know, but I love how it turned out... Even if it's not in typical fall colors. 1- It doesnt smear. There is nothing worse than spending two and a half hours on nail art and having it smear. 2- I needed a ton of colors and at $.69 each at Michaels, acrylic is much more cost effective. Here is a break down of the supplies used, by finger.